November 29, 2018, 3:48 p.m.
Consumer confidence has fallen to its lowest level in a year amid Brexit uncertainty, the latest analysis from YouGov and the Centre for Economics and Business Research finds. 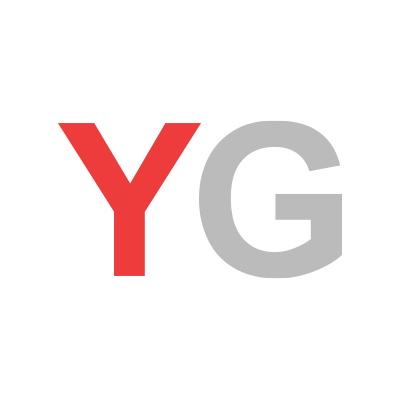 The headline figure fell by 1.4 points in November, declining from 108.1 in October to 106.7 now. 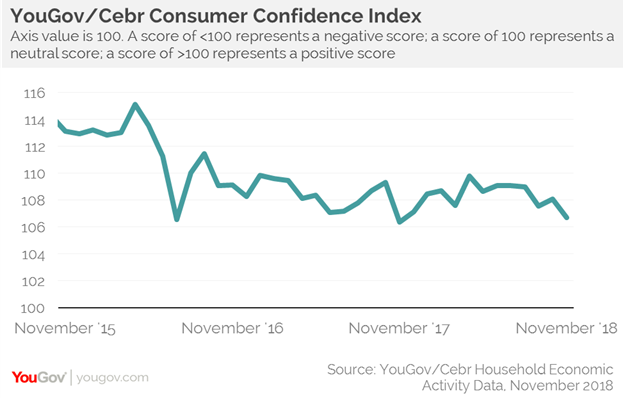 While any score over 100 means more consumers are confident than unconfident, it is only the third time since the EU referendum in 2016 that it has been below 107 and the index is still notably below where it was before the UK voted to leave the European Union. The data shows that seven of the eight measures declined in November while only one improved. Several measures have seen marked falls. Job security over the past 30 days fell by its largest amount since March, while job security over the coming 12 months saw its largest fall since May. Both household finance metrics have also taken a hit. The backward-looking measure has declined by its greatest amount since December 2017, while the forward-looking one has seen its greatest month-on-month drop since last November. Only expected house values over the coming year have improved. Although there is now a proposed Brexit deal on the table, the level of uncertainty is by no means subsiding. Questions over the likelihood of the UK Parliament backing the deal and the nature of the long term UK-EU relationship loom large. 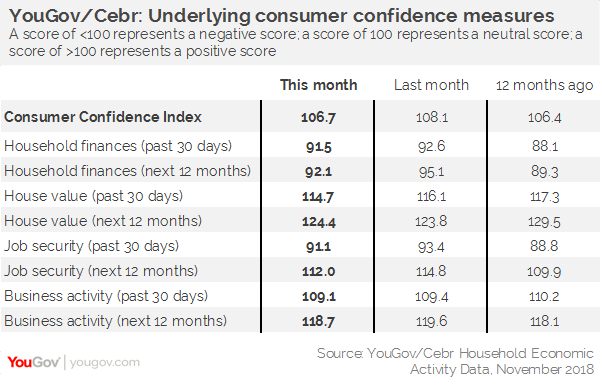 With this in mind, it’s little surprise that consumer confidence has dipped across all but one measure, bringing the headline figure to the lowest level in a year.